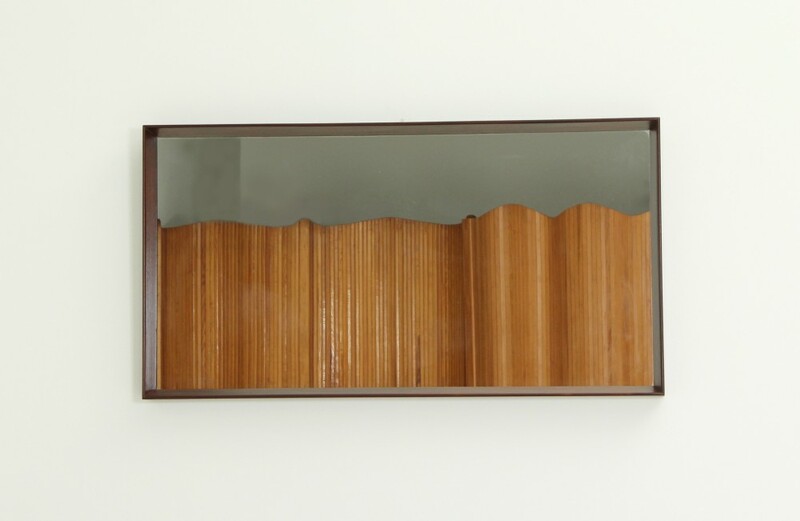 Rectangular wall mirror from 1960’s, Denmark. 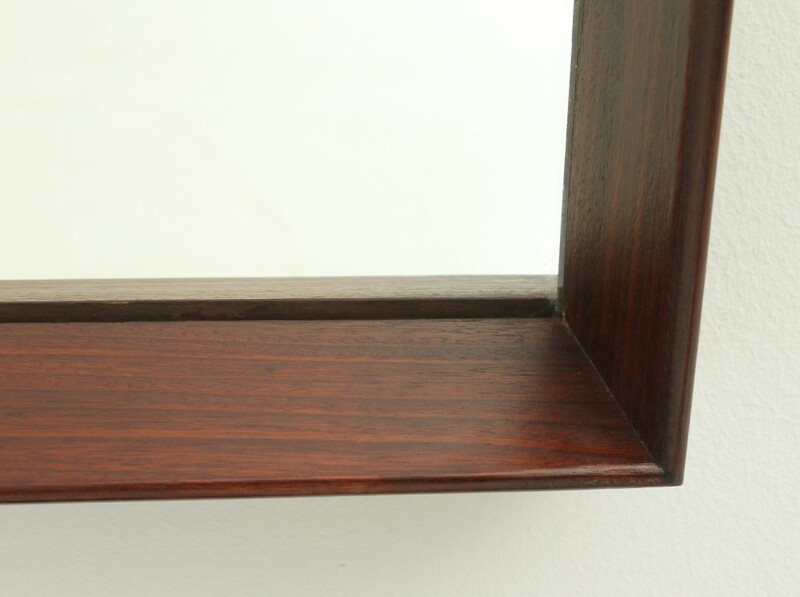 Solid rosewood frame. 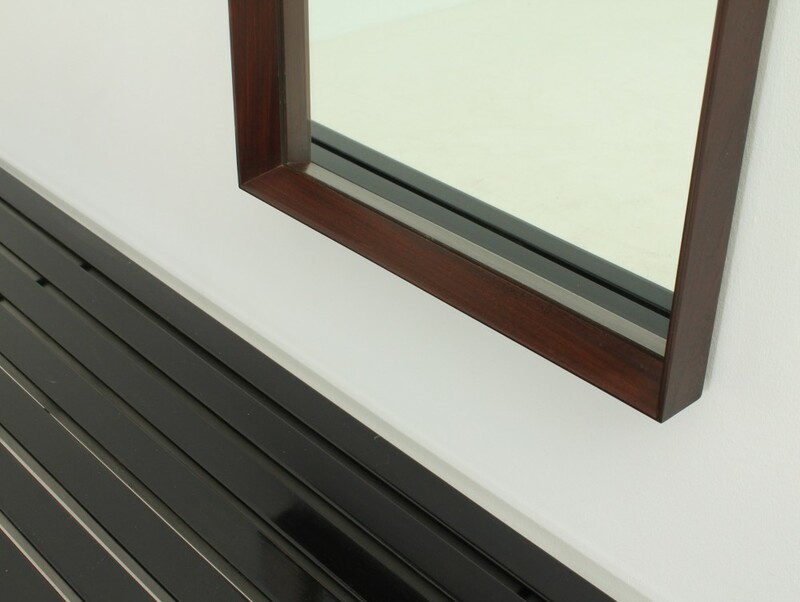 The mirror is prepared to be hung horizontally or vertically. Minimum price for the offer must be greater than 280% of the Product. Large floor or table lamp designed in 1970’s by Carlo Nason for Mazzega, Italy. Hand blown white glass and chrome metal. The swift has a dimmer. Excellent condition. Dimensions: 35 Ø x 120 H. cm. Tongue chair designed by french designer Pierre Paulin in 1967 for Artifort, The Netherlands.Tubular structure upholstered with original red fabric by Kvadrat. Excelent condition. Dimensions: 90 W. x 85 D. x 61 H. cm. Large chandelier edited by BD Lumica, Spain, 1970’s. Brass, lacquered brass and glass teardrops. The ceiling piece can be regulated in height, 16 bulbs. Excellent condition. Dimensions: 63 W. x 63 D. x 90 H. cm. Wall mirror by Vereinigte Werkstatten München, Germany. 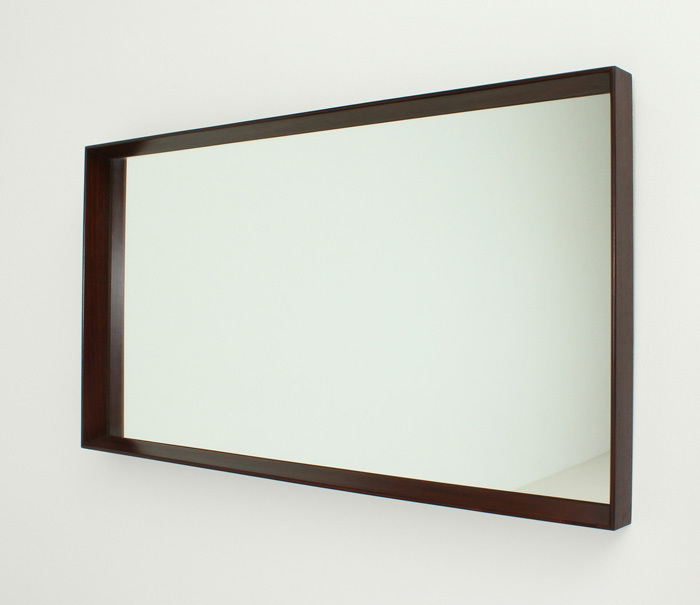 Rectangular, brass frame with small white rim, original mirror glass. 1950’s. In very good condition. This old wooden mirror is carved and patined in a special way. The octogonal shape makes it special. 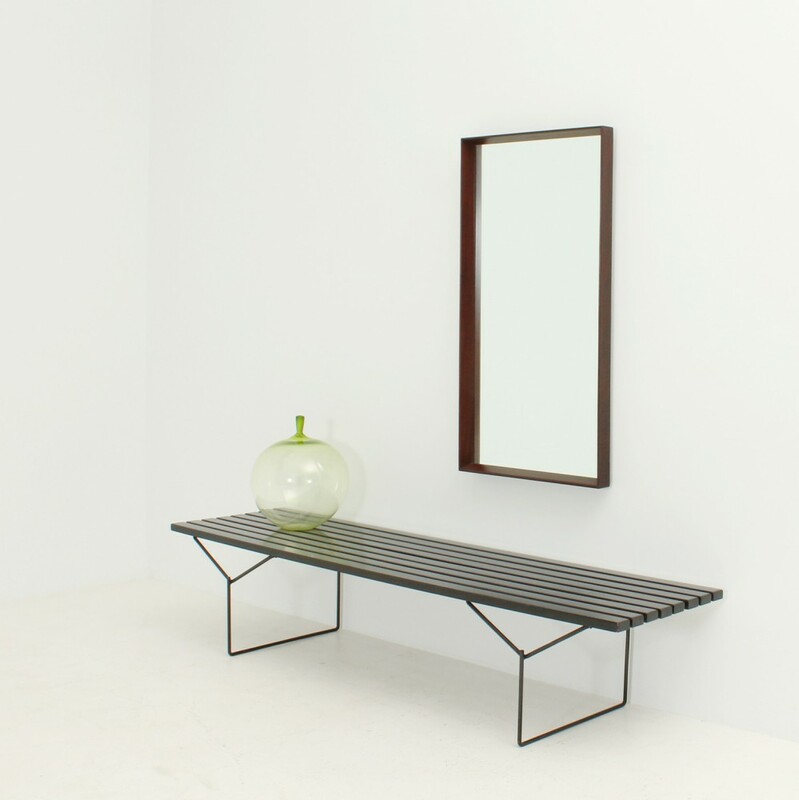 This mirror is in very good condition, with a beautiful patine. Decorative 1950s wall mounted mirror, bicolor gilded & painted metal structure with vegetal decor. 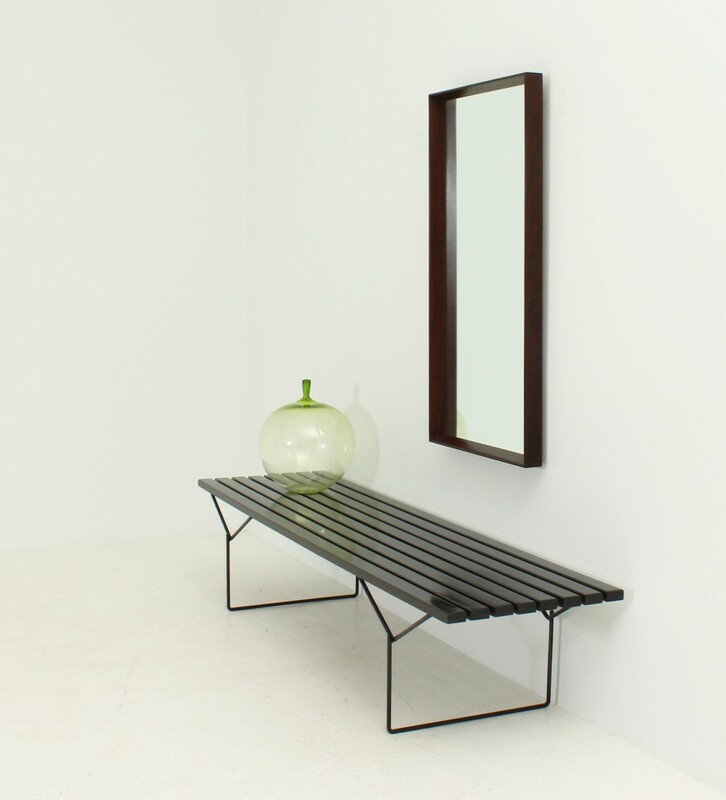 Spanish wall mirror from 1970’s made of brushed steel pieces.